When you’re traveling and need to use the internet, it’s nice to know how and where to find it. It’s even nicer when you don’t have to pay extra to use it! 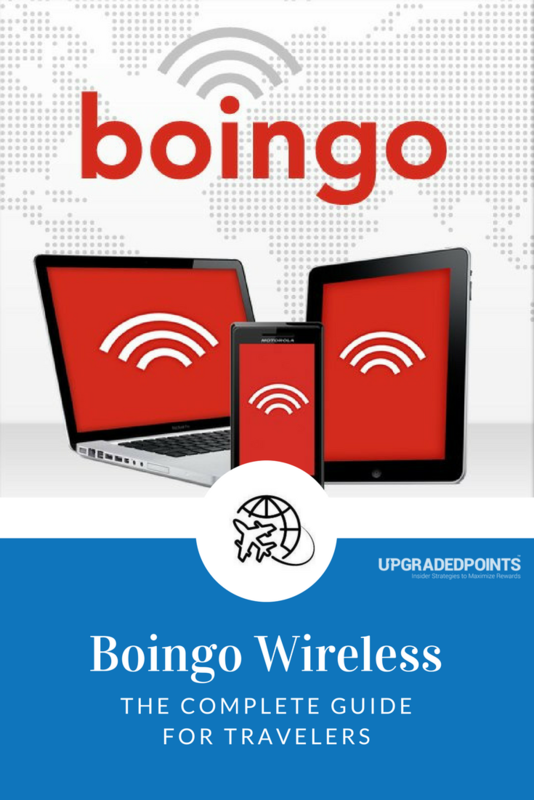 One of the best known international Wi-Fi companies that can help meet this need is Boingo Wireless. How Much Does Boingo Cost? How Can I Get Boingo for Free? Boingo Wireless has hotspots all over the world, and having access to them can mean the difference between getting that email about your delayed flight and sitting at the airport for 6 extra hours when you could have been out exploring. Although they do also offer products for corporations and members of the military, today we’ll focus on what Boingo Wireless does for travelers. Specifically, let’s take a look at the internet services they offer and how you can take advantage of them on your next trip. You may even be able to use Boingo hotspots for free! Boingo Wireless is one of the world’s leading Wi-Fi providers. Their award-winning service helps you stay connected wherever you find yourself in the world. With over 1 million public hotspots in their network, you are sure to find a Boingo Wireless hotspot nearby when you need one. With Boingo Wireless hotspots throughout most cities, you might even be able to find a spot to enjoy a beautiful day outside while you check your email. Photo courtesy of Shutterstock.com. Boingo Wireless has 2 ways to connect to their hotspots depending on which hotspot you’re using: you can use either the Boingo Wi-Finder App or the Passpoint system. Both connection methods are fairly easy to use, and you will soon find that you won’t even have to think about connecting. Using the Boingo Wi-Finder App gives you one-click access to all of Boingo’s over 1 million hotspots. All you have to do is log in to the app, and you can then use it to connect with a single click whenever you are at a hotspot location. The Wi-Finder App, as the name suggests, also helps you find Boingo hotspots. You will have access to Wi-Fi maps as well as the ability to get hotspot notifications. The newer of the 2 systems for connecting to Boingo Wireless hotspots is called Passpoint. Passpoint is still being rolled out and is currently only available at 150,000+ locations, but that number is continually growing as more and more hotspot locations register for the Passpoint system. Passpoint is available for Mac, Windows 10, iOS, and Android. Once installed and registered, Passpoint will seamlessly connect you to the Wi-Fi network at any Passpoint-certified hotspots. You don’t need to click anything to log in and you don’t need any passwords; just walk in and you will be connected. Passpoint provides secure, encrypted connections and the fastest speeds available. There are multiple plans offered by Boingo Wireless, each with different features and pricing. The 3 main plans we will talk about are called Mobile, Unlimited, and Global. The Mobile and Unlimited plans both cost $9.95 a month, and the Global plan costs $39.00 a month. Payments are set up as recurring monthly subscriptions. Both the Mobile and Unlimited plans offer a 50% discount on your first month of service. That’s nice because it makes it less expensive to try the service out to be sure you like it. Additionally, Boingo offers a few regional-specific plans if you are only going to be traveling in certain areas. These include Asia Pacific, Europe and Africa, and the UK and Ireland. You can see the details and pricing of these plans on their site. Since Boingo Wireless plans allow you to connect up to 4 devices, that means you can both enjoy the Wi-Fi at the airport. Photo courtesy of Shutterstock.com. This whole Boingo Wireless service plan sounds great, but as savvy travelers, we don’t want to pay for anything we don’t have to, right?? Well, we’ve got great news! You can get a complimentary membership in Boingo Wireless — all you have to do is carry the right credit card. For those of us in the United States, American Express is the only issuing bank that has a Boingo Wireless membership as a card benefit. Even so, it is only available on a few Amex cards. The Platinum Card® from American Express (benefit ends May 1, 2019, existing accounts will be active through December 31, 2019), the Business Platinum® Card from American Express, and the Marriott Bonvoy Business™ American Express® Card Review all come with a complimentary Boingo Wireless membership. International cardholders of HSBC Mastercards recently saw Boingo Wireless added a card benefit for them. Unfortunately, this benefit is only for cardholders in specific countries, and the United States is excluded. This is worth keeping an eye on though. Mastercard has said they plan to expand this benefit, and we never know when it might be available to U.S.-based cardholders. 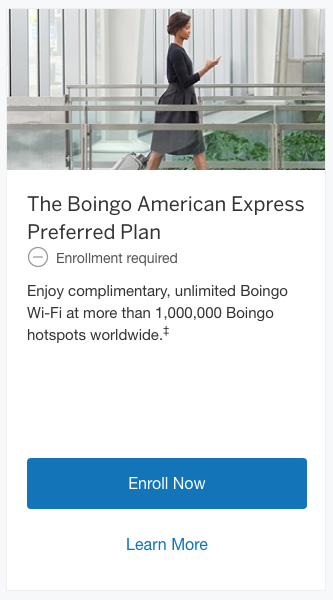 If you have one of the American Express cards listed above, all you have to do to get your complimentary Boingo Wireless membership is log in to your Amex account, head over to your benefits page, and you’ll see an “Enroll Now” link. Click that to open your free Boingo account! Log in to your American Express account, go to the Benefits section for your card that offers a free Boingo account, and you’ll see a screen like this. Click to register your Boingo account! If you previously had a paid plan with Boingo Wireless, you will need to cancel that plan separately (it will not happen automatically). Your new Boingo Wireless membership will be good as long as you hold your eligible American Express card. 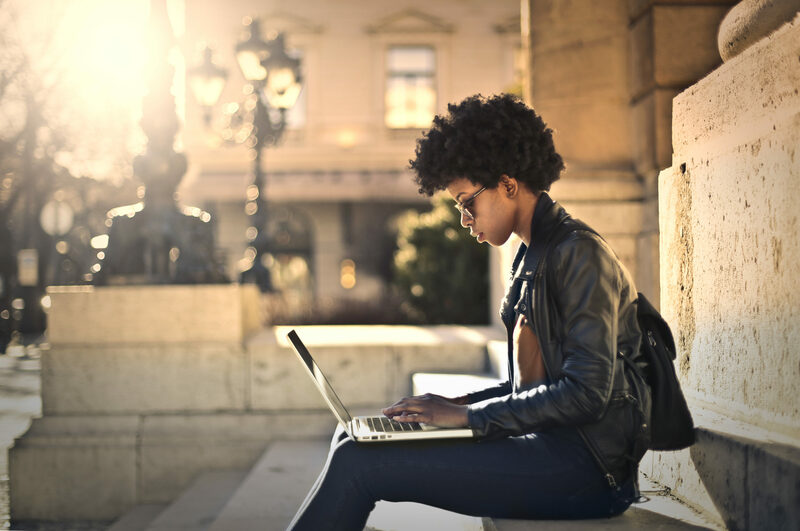 Using Boingo Wireless is a great way to have reliable internet connectivity wherever you’re traveling. With hotspots all over the world, you are sure to find a signal close by. You can also be confident that the signal will be strong. Make sure you register to take advantage of Boingo Wireless if you already have one of the credit cards that gives you complimentary service. The free plan from American Express is even better than any of the paid plans that Boingo Wireless offers! If you don’t already have one of those cards, perhaps this is the benefit that will tip the scales to make one worth it to you. Sure the annual fee is high on the Platinum cards, but we definitely think the fees are worth paying compared to all the benefits you get. Not quite ready to invest in a Platinum card? Picking up the Marriott Bonvoy business card is a great low-cost way to get the Boingo Wireless benefit, and they pack a solid list of other benefits as well. Staying in touch with friends, family, and work while you travel is important to all of us. With Boingo Wireless, you won’t have to worry about how to make that connection anymore. Just find one of their hotspots, connect, and enjoy. Boingo Wi-Fi is one of the world’s largest wireless internet companies. They have over 1 million hotspots worldwide and a variety of subscription levels available for consumers, businesses, and the military. No, Boingo Wifi is not free. They have a variety of paid membership plans beginning at $9.95 and going up. It is possible to get a complimentary Boingo Wireless membership with certain American Express and Mastercard credit cards. Which airlines use Boingo internet? Boingo Internet is not available on airlines. They used to have a partnership that allowed their members to access the internet on planes equipped with GoGo Internet, but that partnership was terminated in 2014. Boingo is available in airports, hotels, businesses, and public areas all over the world. How do you create a Boingo account? To create a paid Boingo account, simply go to their website and choose the plan you want to subscribe to. Follow the instructions to sign up. To create a complimentary Boingo account, you to the benefits section of your American Express card and follow the instructions to register your card for an account with Boingo Wireless. How do I add a device to my Boingo? To add a new device to your Boingo Wireless account, all you need to do is log in to that device with your Boingo account credentials the next time you are connected to a Boingo hotspot. How do I cancel my Boingo account? To cancel your Boingo account, first, you need to log in to your account on the Boingo Wireless page. Then you will see a link to ‘Cancel Subscription’ in the menu on the left-hand side of the page. Follow that link and you can choose to cancel your current subscription or completely cancel your account. Yes, Boingo Wi-Fi is safe as long as you use it correctly. For open connections, it is always a good idea to use a VPN or SSL-secured sites if you want to make sure your data is safe. If connecting with Boingo Passpoint to one of the Passpoint Certified hotspots, your data is automatically encrypted as soon as you connect. You do not need to add further encryption.